This course has been updated! We now recommend you take the Firebase with React, v2 course. Use the Firebase platform to deploy sophisticated web and mobile apps without having to build your own complex, server-side infrastructure. Get setup and learn to update React components in real time. Deploy your app, add OAuth authentication and activate database security rules. Plus, store media files in Firebase Storage and use Cloud Functions with Server Workers to set up notifications with Firebase Cloud Messaging. 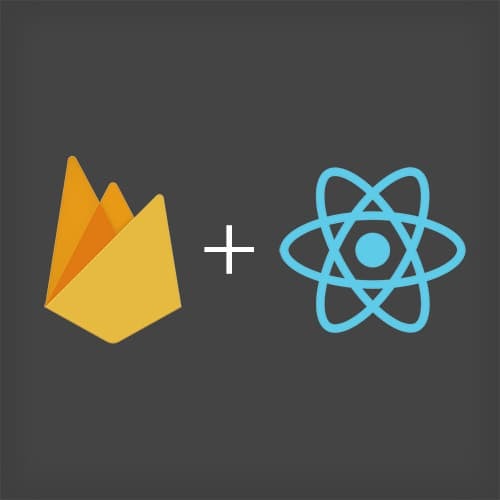 This course is a must for any React and Redux users who want to integrate with Firebase’s cloud-hosted NoSQL database platform to create robust web and mobile applications! Introducing your instructor, Steve Kinney. While reviewing the course agenda and introduces his Firebase + React workshop, Steve demonstrates the features of Firebase, a cloud-hosted NoSQL database. Steve shows how to adding more data to the database noting that key pairs sort by default Lexicography or alphabetically. Then Steve takes questions from students. Steve incorporates a form into the React application to work with the Firebase application. Covering the benefits of using a snapshot of a database, Steve refactors code to read and write to the database. Steve integrates authentication into an application to create a successful signing in and signs out experience. Steve creates a form that takes submissions for lunch venues only for authenticated users and then takes questions from workshop attendees. Steve sets up voting functionality within the application. Polishing the experience for the application, Steve checks to see if a key exists in Firebase before displaying it in the browser. Steve introduces NoSQL and how to approach modeling data. Grabbing the user's photo, Steve shows how to store the image into Firebase's cloud storage. Steve secures data by setting up security rules to make sure that unauthorized or unauthenticated users cannot access or modify senstive data. Steve goes through the code for the chat application. Using Redux, Steve implements sign on and sign out processes for the chat application. Adding a user to the chat application, Steve demonstrates how to connect the application to Firebase to get real-time feedback. Listening to authentication changes, Steve sets the application to log in or log out a user depending on the state change. Steve implements the chat feature showing that when a user posts or deletes messages, Firebase updates the database and then notifies Redux to refresh the application. Setting up how Firebase works for setting up administration roles. Steve demonstrates how to set up the application to include Cloud Functions. A three-step process to set up notifications, Steve shows how to request permission from the user, create a cloud function, and a service worker to handle the notifications. Steve tightens up the application as Service Workers only work in HTTPS. Steve wraps up the course and thanks the attendees.